A one-lane dirt road going north from CR643 enters the cemetery. 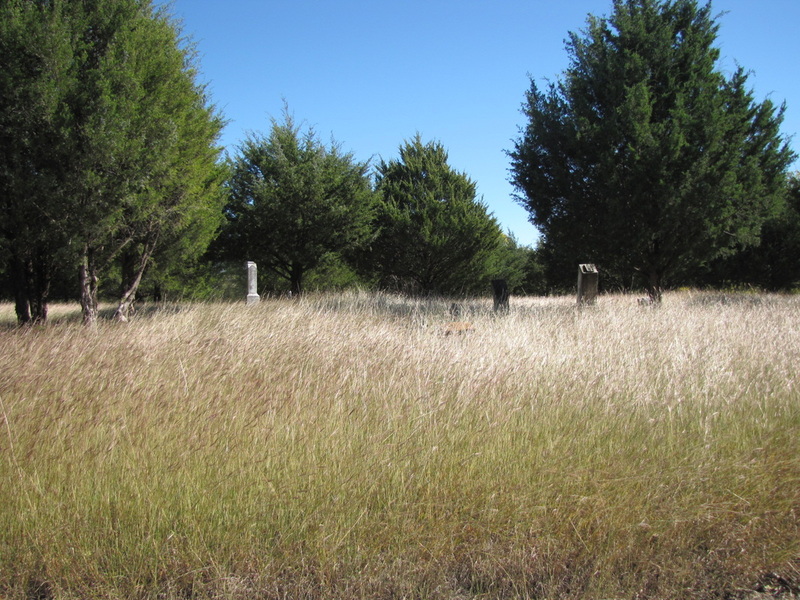 The cemetery is on both sides of the dirt road. It may be hidden in the grass. This was once a community here called Aleo that contained Prairie Grove Baptist Church and Prairie Grove School. It had a post office, a gin and a small store. No deed has been found for the church or cemetery. 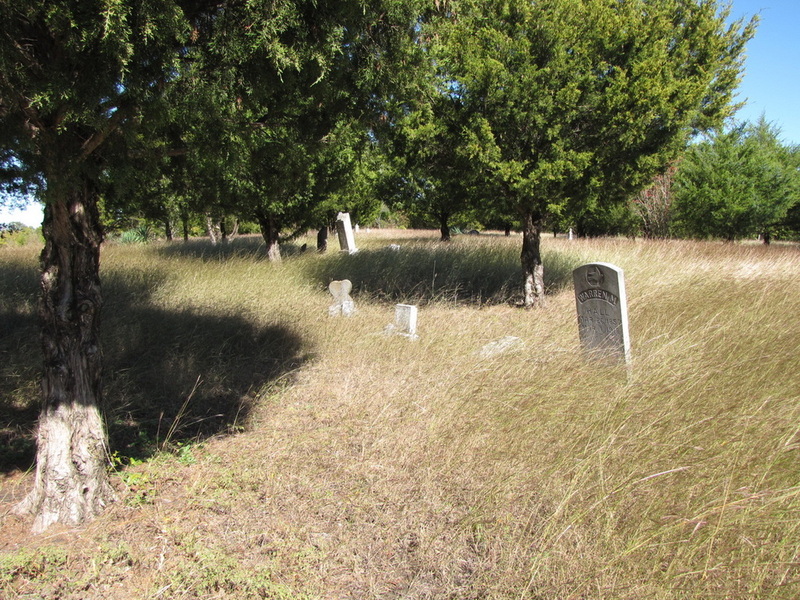 This cemetery has at least an acre of land. There are a few small cedar trees. The most recent stone that I saw was for 1930. COLLIN COUNTY CEMETERY INSCRIPTIONS I lists one for 1950. This cemetery is neglected. Someone rough-cuts the grass a couple of times a year. Audie Murphy's family lived in the area at one time. Some of his relatives are buried in this cemetery. his mother and grandparents are buried here. the pioneer community of Aleo.